Supervisor of School Broadcasting Programs from 1950-60. Chaired the Division of Culture from 1971-75. During the 1960s Abd-el-Tawwab Youssef was a member in the Egyptian Literary Association which included intellectuals who all lived to win state awards for their accomplishments. 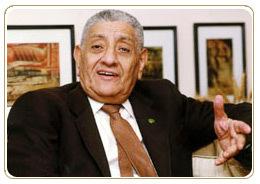 In 1968, he founded The Children’s Cultural Association and established the Children’s Culture Committee of the Egyptian Higher Council for Culture. 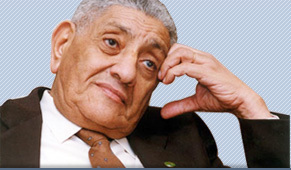 He was annually elected for eight years in a row as a member of the Administrative Board of Egyptian Writers. In March 1970, he was the coordinator of the First International Conference on Children’s Culture in Egypt. Since then, he has chaired and taken part in most of the conferences, symposia, and events that were held in Egypt or in the Arab world focusing on Children’s Rights, Children’s Culture and Children’s Literature. In 1970, he was invited to England as part of a delegation that visited libraries, schools and bookstores to study Children’s Culture in UK. In 1975, he started focusing on publishing books and writing stories for children for Cairo Radio and Television and for all the broadcasting services in the Arab world. He served as the Consultant of the State Publishing House, the General Egyptian Book Organization for the past thirty years. Consultant for the Arab Bureau for Education in the Gulf, the King Faisal Research Center in Riyadh, Saudi Arabia, the Children’s Culture House in Baghdad, Iraq, and the Heritage Center of the Arab Gulf States in Doha, Qatar. UNESCO expert on Children’s Television and Theater in Qatar from 1980-83. UNESCO expert on Educational Technology in Qatar in 1985. In 1985, he lectured at the University of Ohio on importance and role of Arab Literature in writing for children. Attended book fairs for children in Germany, Italy, England, France, Bulgaria, Czechoslovakia in Europe, in the Philippines and China in Asia, and to the US and Canada. Some of his books have been translated into English, French, German, Persian, Indonesian, Chinese, and Malaysian languages.